You have probably seen the drawing of the Vitruvian Man by Leonardo da Vinci. The human body is actually shaped like a 5-pointed star. The zodiac man is similar, where Aries, the first sign of the zodiac, rules the head and Pisces rules the feet. All of the other body parts correlate to different zodiac signs. The idea is that your zodiac sign does not just govern personality traits. Plus, a little known fact is that all of the zodiac signs live within you. It’s about balancing all of the signs within your body. 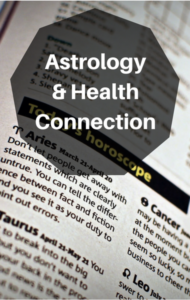 Dr. Oz and Rebecca Gordon took the time to look at every astrological sign to find out how, according to Gordon, the stars can help you take control of your health. First, was Gemini, for people born between May 21 and June 20. Gemini rules the arms and hands, as well as your ability to communicate with the world. Dr. Oz is a Gemini, which is why it is not surprising that he is a surgeon (which involves using his hands) and a talk show host, which involves communicating information with the masses. Dr. Oz joked that his wife says that he is Schizophrenic. Other personality traits of a Gemini include adaptable, quick, and fickle.